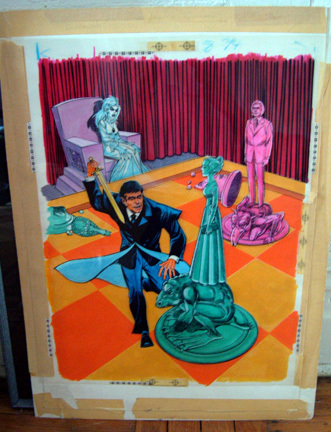 From 1968 to 1976, a comic book series was based losely on the original show. The art wasn't bad, though the characters didn't resemble their TV counterparts; and teh stories were unrelated to the TV plots -- but as a stand-alone DS parallel time series, they're enjoyable. 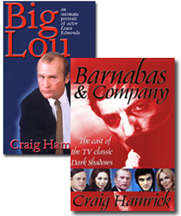 The comic series lasted twice as long as the TV series, ending ten years after the show debuted. Read more about the Gold Key comics. 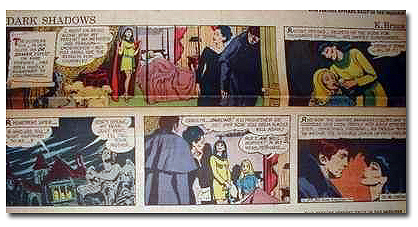 For about a year after DS was cancelled, newspapers around the country carried a strip about the Collins clan, including color panels on weekends. Click here to read more about the comic strip. 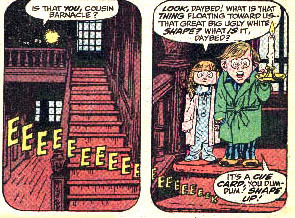 In 1971, a parody of DS, called "Darn Shadows," was printed in the first issue of a comic book called Spoof. Click here to read about that comic. 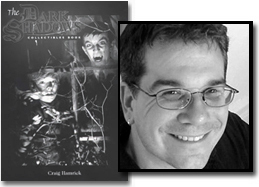 There was another DS parody published in the Elvira comic book series, written by my friend Richard Howell. I'm planning to write more about that soon. In recent years, the original art used to create comics has become a hot collectible category. Click here to read about the original DS art. 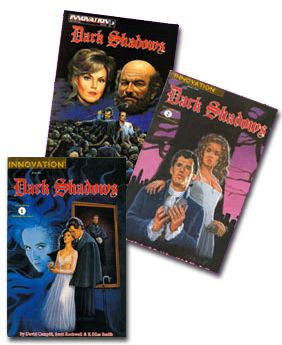 Another Dark Shadows comic book series pre-dated the TV series, in the 1950s. Besides its title, it was totally unrelated to the soap opera (however, one cover features a character that resembles Joan Bennett more than the Elizabeth in the Gold Key series did). 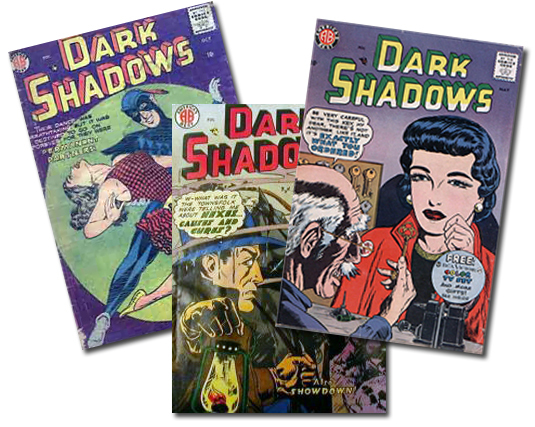 Three issues were published, starting in October 1957.